Henton is a hamlet in Oxfordshire, about 3 miles (5 km) west of Princes Risborough in Buckinghamshire. Henton is in the civil parish of Chinnor, just off the Icknield Way, which has been a road since the Iron Age. Henton remains tucked away surrounded by fields and bridle paths. Walking will take you to the Peacock pub which also has accomodation and a homely bar where food is served as well as in their dining room. 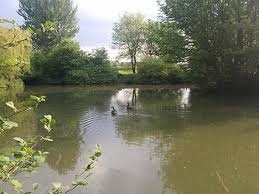 Further on for fisherman there are some areas to fish and the Fishery shop will advise as well as equip you for a quiet day on the banks.